Can a Tweak to Texas’ Energy Market Unlock Demand Response? Forget about a capacity market for now—think about a demand curve. The electric grid in Texas has fared well so far this summer. The Electricity Reliability Council of Texas (ERCOT), which manages Texas’ grid, has low operating margins, but it was able to meet its highest peak yet for 2013 when the region topped out at 67,180 megawatts on August 7. Even though ERCOT made it through the heat wave, which was about 1,100 megawatts lower than its all-time peak, changes are likely coming to the energy-only market. ERCOT has already raised its market cap to $5,000 per megawatt-hour this year, and that will rise again to top out at $9,000 per megawatt-hour in 2015. 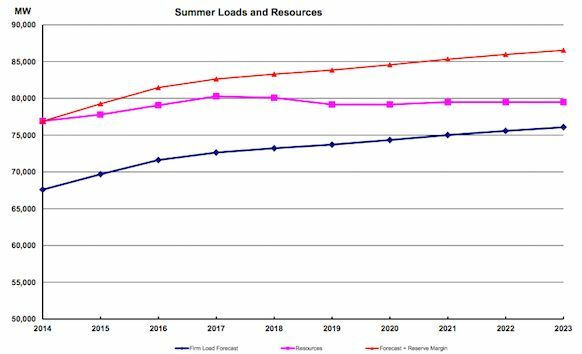 However, it’s unclear whether the climbing prices will be enough to incentivize new generation or demand response, which is badly needed to shed peak load that results from high levels of AC use in the summer. 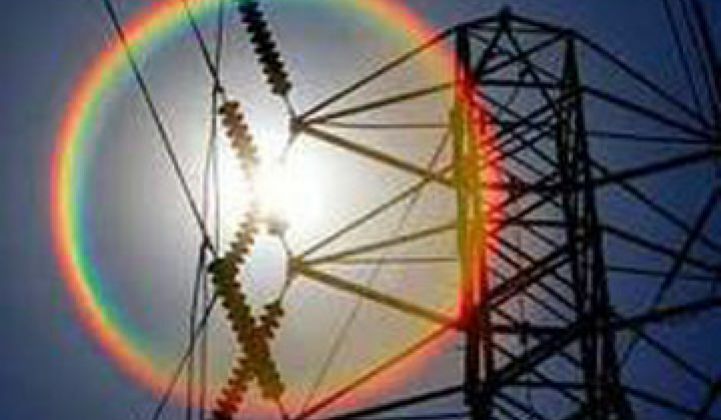 One of the problems in ERCOT is that as demand for electricity goes up on hot days, the price of electricity does not increase steadily along with it. Instead, the price jumps when it hits certain thresholds. To fix the problem, ERCOT and the Texas Public Utility Commission are weighing an operating reserve demand curve (ORDC), which would make scarcity prices higher more often, even if they don’t get all the way up to the market cap. Some of the other regional grids in the U.S. already use an ORDC, although Hogan said there is an opportunity for ERCOT to improve upon the curve to be even more accurate than the versions that have been implemented in other regions. Ideally, an ORDC would stimulate the retail aggregators to offer demand response programs to customers, especially homeowners. In Texas, the vast majority of the peak is driven by homes and not by Texas’ industrial sector. In order to tackle electricity spikes, the state has to address energy use -- primarily air conditioning use -- at homes and small businesses. Dumas said that implementing an ORDC could be seen as an opportunity by some of the retailers. Retailers could offer lower prices in exchange for demand response participation to lure new customers, or buy less than their full load under a forward contract and use demand response to make up the difference. Even without market changes, various utilities and retailers are experimenting with residential demand response, such as Austin Energy, Reliant, Green Mountain Energy and TXU. Whether the demand curve is enough, however, is yet to be seen. Many people are also calling for a capacity market, rather than just an energy-only market, to help unlock demand response in Texas.